Gosport independent lifeboat launched to a mayday distress call on Sunday afternoon after a yacht ran aground. The 40ft Beneteau, which had eight people on board, had struck Hamilton Bank, just outside Portsmouth Harbour and issued the mayday call on VHF radio at 1620. 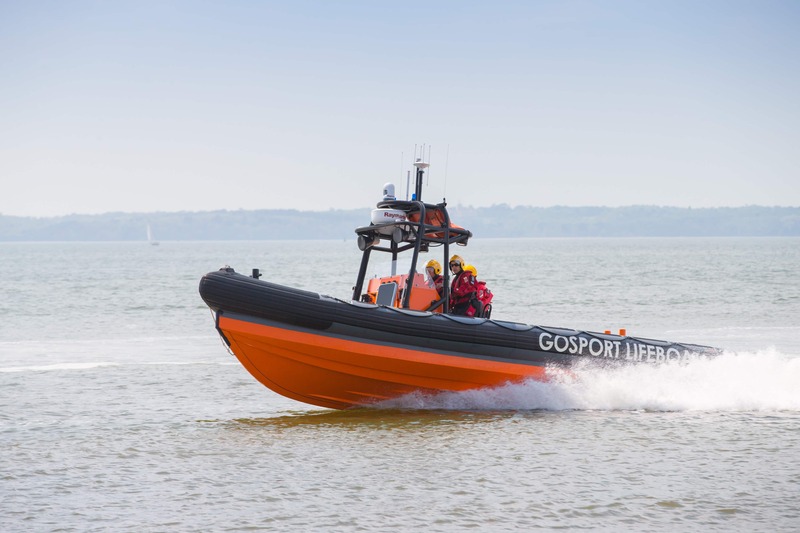 Gosport & Fareham Inshore Rescue Service (GAFIRS), based at Stokes Bay, Gosport, heard the call and launched its lifeboat to the incident. It was on the scene in a matter of minutes. The distress call was the second incident GAFIRS was asked to assist with on Sunday by UK Coastguard. Earlier that day, GAFIRS lifeboat was asked to help find a vessel which was unwittingly broadcasting on VHF channel 16. Using the lifeboat’s directional finding equipment, and a similar set back at the lifeboat station, the crew were able to pinpoint the culprit. A crew member was placed on board the vessel, the radio set identified and the problem solved. Unintended broadcasts such as this on channel 16 – the emergency radio channel – often referred to as a ‘carrier’, can potentially stop incidents being heard by the Coastguard and need to be resolved as quickly as possible.